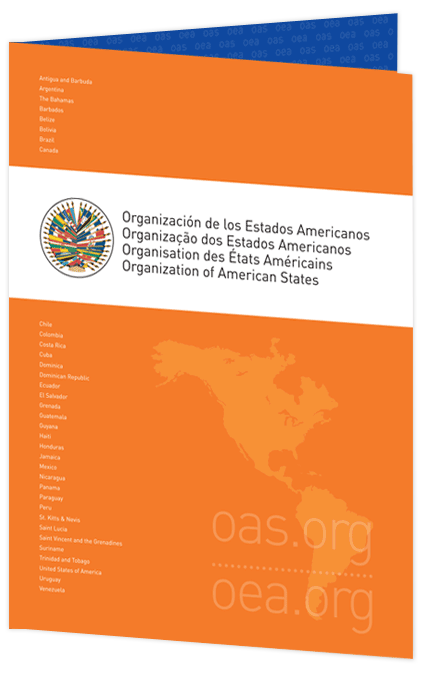 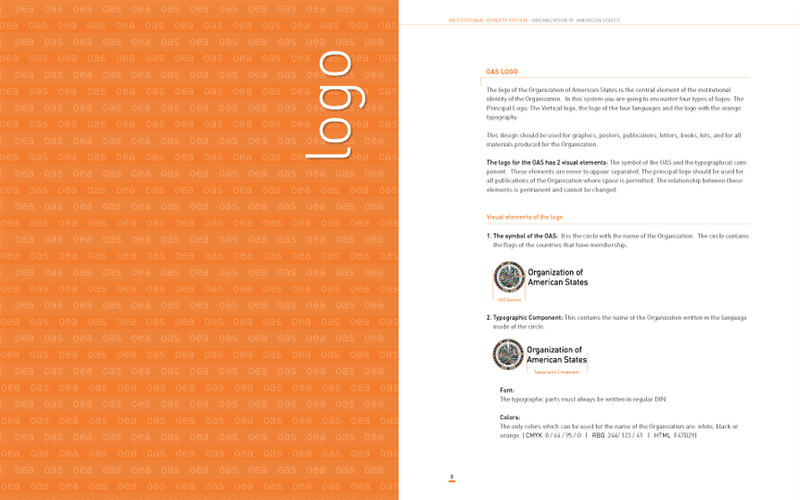 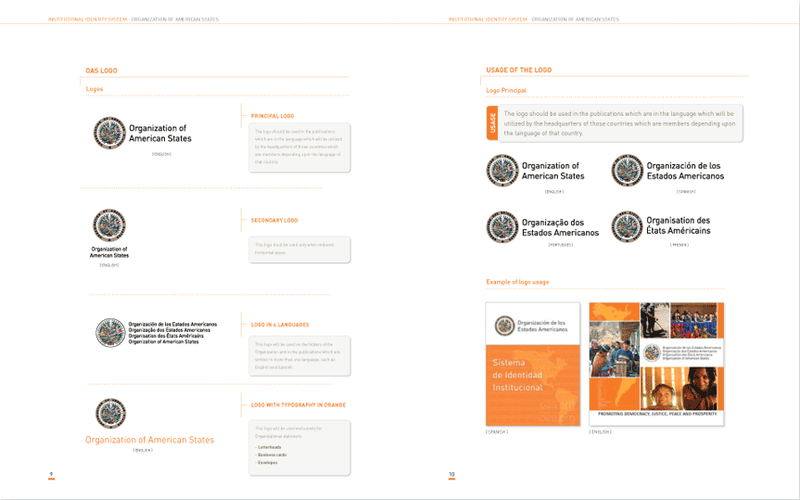 We were chosen by the Organization of American States, an organization which serves as a political, social and economic forum for its member states from all over the Americas, and were given the task of redesigning their logo. 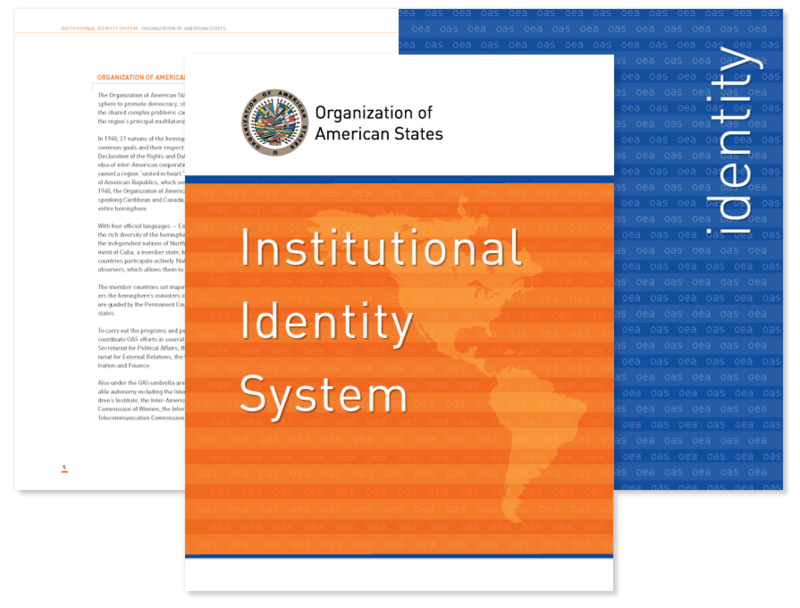 The creative process for us focused on the Identity Scale, in order to stay true to the professional tone of the organization’s services. 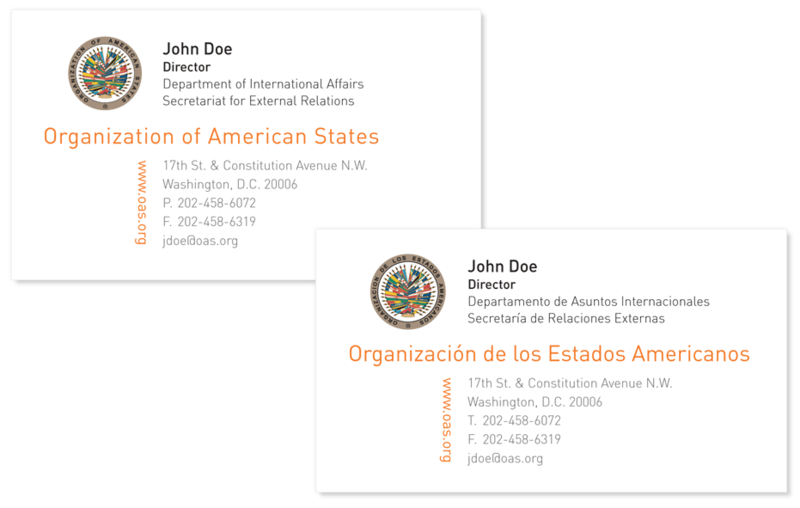 We redesigned the logo, in both English and Spanish and detailed new specifications, colors, and typography to be adopted by the organization in its stationery and official documents.